It’s that time of the year again where we remind you about the benefits of good ol’ directories! Before the internet, we relied on finding services through the big yellow brick of a book we received each year. Thanks to the world wide web, we now find them stuffed under uneven table legs or as a booster seat. Today we find what we’re looking for with a click of a button. Does your business stand out? In 2016, Google took away the right-hand sidebar where the paid adverts were displayed. Now the paid posts soar straight to the top, making it a tough battle for smaller companies to get noticed. Directories can be a cost-effective way to help get found via search engines. Being active on directories increases the chances of your business getting noticed. It is important to keep your business updated in directories. If your business has gone through a recent change and you didn’t update your information, you could lose a lot of potential customers! Never forget to NAP, this means not sleeping on the details. Make sure your Name, Address and Phone data is accurate and up to date. 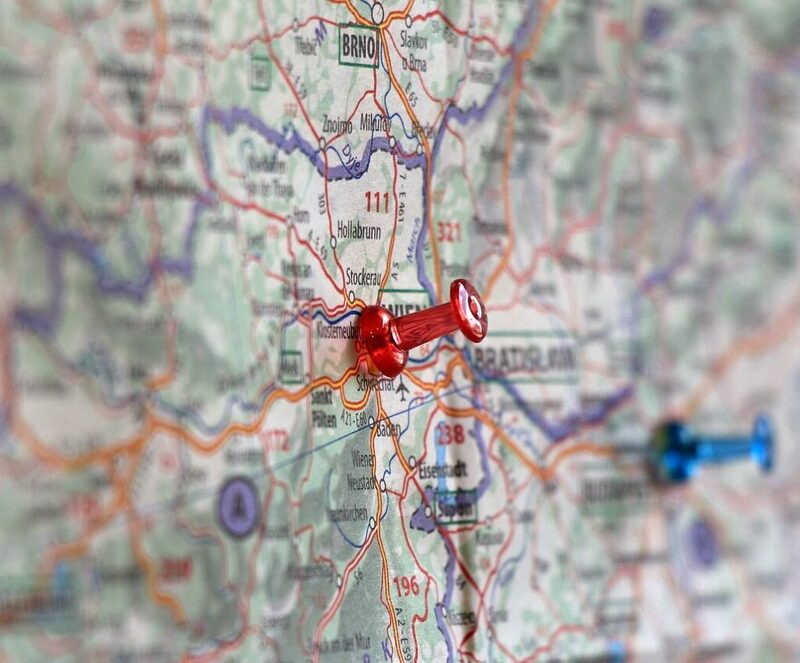 Location and accessibility are two of the most important factors when it comes to customers. If your telephone number is an old one and a customer can’t get through to you, they’re unlikely to try again. Likewise, if you were to put your address as a small town in South America, a New Zealand customer wouldn’t follow up with your business! Pro tip: Check the directories your company is listed in and confirm your details are correct. Some websites take their information from others; resulting in a cycle of incorrect information. This year, we bring you an even bigger list of potential directories your business may be found in. Take a look to see where your business is listed and where it isn’t. It’s the only thing standing in between you and your next big client. *The directories list has been ranked by domain authority, with the highest ranking at the top (accurate as of July 2018). RateBeer – Directory of beers, breweries, bars and stores. Express Business Directory – Business directory. Yellowpages NZ – Search for anything in NZ . Enroll Business – Browse through local businesses and services of New Zealand. Finda – Find anything in NZ. Info News – Directory connected with membership and news. Wises – Services based off an interactive map. Hotfrog – A site where people register their businesses for free. WowCity – Lots of different listings including hotels, real estate, stores, services and health. Get all this information by selecting a city. Lawlink – Connect and share with attorneys around the world. Neighbourly – The easiest way to keep up with everything in your neighbourhood. NZPages – Collection of sites of all kinds and purposes. NZ Search – New Zealand businesses and sights. Localist – Local and authentic Kiwi businesses. Zoomin – Businesses broken down by New Zealand city. Zenbu – Collaboratively edited directory of businesses and places that help you find anything, anywhere. ZipLeaf – Online business directory. PathLegal – Directory for lawyers. BusinessMe – New Zealand business directory. Cylex – Business directory of New Zealand. Fyple – Efficiently sorted local businesses and services. Local Store – Local stores with updated listings. My Wedding Guide – Everything about weddings. RankedByReview – Find local businesses with the best reputation. MySheriff – Does all the work in finding the best service for you. LocalBD – A local business directory. Search Local – Site with all kinds of companies and businesses listed. New Zealand Websites – New Zealand business websites. NZ Localizer – A directory with many New Zealand companies. Directory NZ – A list sorted by category of need. New Zealand Search – Directory of websites, a search engine and New Zealand articles. Homeimprovement2day – New Zealand companies for home improvement. 99Nearby – The latest listings of local businesses. The Local Business Network – Free listing of your business and a paid versions with enhanced SEO. Directory Pages – Local directory with a premium category option. NZ Blue Page – Business list based on city and map. NZ Business List – Business listing by category and city. Opening Hours – Local businesses and their hours of operation. Google+ – Google’s social media platform. LaCartes – Find anything. From local activities to exotic destinations. Worldwide site. Maps Connect – Add or update your company details to Apple Maps so customers can find you. Yelp – Directory of a wide range of services and businesses. Worldwide. Issuu – Articles about businesses and services all around the world. Foursquare – Find best places to eat, drink, shop or visit. Community Walk – Create a walk in a neighborhood and find businesses nearby. BrownBook – Global business listing database. Tupalo – Find the best spots in your surroundings and see what other people think about it. 2FL – Local businesses worldwide. Yello Yello – Global business directory. Helpful to find out what’s going on in your city. Sales Spider – Site with multiple purposes. Lots of reviews and products but also business directory. Has a community on site. Kompass – Businesses worldwide (requires tax/vat number). TripAdvisor – For things to do on your trips. Claim your business at https://www.tripadvisor.co.nz/Owners. Zee Maps – Create and publish maps of business lists. Link Centre – Internet directory and search engine. Viesearch – Find the most popular businesses based on 5 star ratings. Cybo – Business directory with a wide range of categories. Find Us Here – Global business directory. Factual – Location data company. Lekkoo – Give a street name and find anything around there. Epage – Free classified ads and business options. iGlobal – A global community of businesses, professionals and events. So Much – A link directory without ads. Expatriates – Classified ads for expatriates. Top Design Firms – Reviews and rankings of top web design firms, ecommerce development, graphic designers and design agencies around the world. CompanyFM – Create a page to promote your company and brand, showcase your product or service, expose your content, build customer loyalty, or just be found. Wand – Worldwide directory of businesses. Place Reference – Place yourself on a map and see what’s around you (with the list and streetview). BeanHunter – For finding the best cafes and coffees in various cities. Fonolist – Find businesses, events, and reviews. Narrow it down by the country and city you’re looking at. Local Wall – Free classifieds and advertisements wordwide. Places Map – World places map directory. Nettica – Online directory of products and services worldwide. College Zoom – College directory with reviews and achievements. It is unfortunate how many people are still not utilizing the better directories because of all the poor quality directories out there. Thanks for sharing some you find useful. I’ve written about the top directories in the U.S. for DIRJournal.com in the past. If you are interested, I can find the link. They are also running a 25% off discount that I wrote about on my site. All someone needs is the code Perm6 and to submit before the end of June 2017. There are more details on my site. Thanks for this – you are SO right about directories. But in the same way that auto-posting to Social Media has become ineffective, I’m glad that manual directory submissions are effective again. It makes marketing “human” rather than automated.